Clear IAS Android App Crosses 1,00,000 downloads! Clear IAS android app has crossed hundred thousand downloads! We thank all our users who supported and encouraged us in our mission of providing quality education free for all. Without your positive reviews, ratings and mouth publicity the 1 lakh+ milestone (1,00,000+ installs) would have never become a reality. The free-to-download clear ias android app is designed as a comprehensive self-study package for UPSC Civil Services exam. Now aspirants can extend their IAS exam preparation from laptops to mobiles and tablets. Smartphone users like Blackberry or Windows: Till the corresponding version is available, you may use Clear IAS app HTML5 version. ✓ Access our online UPSC study materials from the comfort of your mobile or tablet, for free. ✓ Latest UPSC syllabus for Prelims, Mains and Interview now at your fingertips. Clear IAS – the comprehensive self-study package for UPSC CSE – is a venture to help all aspirants who look for guidance outside the classroom coaching or who can’t afford it due to time/financial constraints. Our vision is to guide maximum candidates in the right path, particularly from the rural side, who otherwise would have very little chance to walk through the power corridors. We believe that services like IAS, IPS, IFS etc need the best brains in the country and we strive to ensure that no deserving candidate be left out of UPSC exam competition due to inaccessibility of expensive IAS classroom coaching. Read to know more about Clear IAS. The app received top ratings from our satisfied users, mostly 5 stars! Not many apps in the market, provide all the features like Clear IAS, including study materials and online tests for free. Clear IAS app was ranked in the top 5 new apps under education category in the Google Play store. AppMakr, a US based company which provides a platform for more than 21 lakh mobile apps, selected Clear IAS as app of the week – a distinction which only 52 apps get per year. 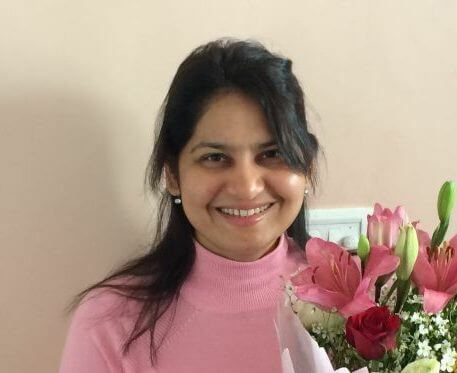 Yourstory.in has mentioned about Clear IAS, in a teacher’s day article on online test preparation start-ups being built from India. Last but not least, Clear IAS Facebook page has been growing fast, and it has crossed 2 lakh followers. Clear IAS app is now one of the most popular educational apps focused on UPSC Civil Services Exam preparation. Here is our timeline showing the milestones. 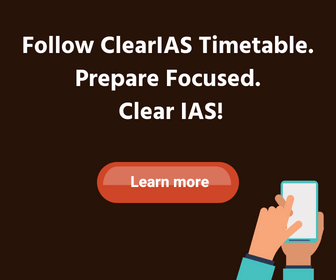 June 8, 2014 – Android app launched: Now Boost Your IAS Preparation With Clear IAS Mobile App! Jan 2015- 50000+ downloads: Clear IAS Android App Crosses 50,000 downloads! 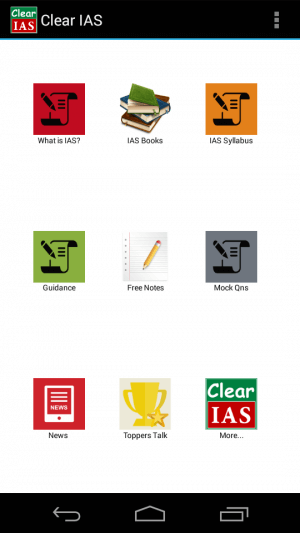 April 8, 2015 – iPhone App launched: Clear IAS Releases Free iPhone App for UPSC Exam Preparation. June 8, 2015 – 1st Anniversary: Clear IAS App Celebrates the First Birthday with a New Version! June 27, 2015 – 1,00,000+ downloads. Congratulation.. May i wish you success. good morning sir , sir, there is any facility through this clear ias website for hindi medium student.